We are honored to share the leadership insights of Cecil Thomas, a Union Criminal Justice Management alumni and Ohio State Senator, as we complete our May salute, in recognition of National Police Week officially held May 13 – 19, 2018.  Union’s commitment to educating the law enforcement community is proven with a rigorous and research based Bachelor of Science in Criminal Justice Management. 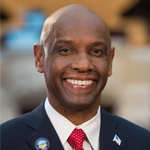 Senator Thomas is a twenty-seven year veteran of the Cincinnati Police Department and worked in every district, including all 52 Cincinnati neighborhoods. He describes himself as a “servant leader” who has worked tirelessly to produce positive outcomes for the community. Cecil lives by the creed, “All things are possible through Christ who strengthens me.” Read how his leadership style has made a difference. A. There are various styles of leadership that define an individual. I would characterize my leadership style as a “servant leader.” A servant leader leads from the heart with a natural, God-given desire to improve the quality of life of people, their community and the world. A servant leader gets the job done, giving little consideration to who gets the credit. He/she leads expecting nothing in return. Some traits of a servant leader are: courage, patience, honesty, integrity, stewardship, empathy, humility, respect, and a strong faith in God. Servant leaders are well educated on pertinent topics, good listeners, and open minded with balanced perspectives. They seek common ground and leave the door open for compromise while refraining from passing judgement. They are bridge builders and usually have a long history of serving, beginning with their childhood. They define themselves to others by example rather than allowing others to define them. They also seek to allow others to define themselves on a personal level aside from the professional level. A. Upon my arrival to the Ohio State Senate, I didn’t know anything about the 23 Republican senators I would be expected to work with on matters affecting all the people of Ohio. Rather than beginning my work in the Senate with little knowledge of my fellow colleagues, I decided to arrange individual meetings with each one of them. The purpose was to introduce myself to them on a personal level and to get to know them in the same manner. After these meetings, I was recognized on the floor as the first senator to ever meet individually in such a way as a newcomer. This kind of relationship-building in the beginning of my career as a senator has afforded me the opportunity to work more collaboratively with my Republican colleagues in an effort to better serve citizens. Many bills that become law are usually the result of bi-partisanship, despite the fact that the Democrats are in the minority. A. I’ve long been an avid admirer of the work, speeches, and leadership qualities of Dr. Martin Luther King, Jr. He showed great courage, patience, and determination when addressing controversial issues, especially involving civil rights. He was able to gain the support of the majority in America and around the world regardless of race, creed, color, national origin, or political affiliation. His honesty and integrity captured the hearts and minds of the masses. A. My first meaningful recognition as a leader occurred when I joined the Cincinnati Police Department in 1972. It was clear that there was racism within the department, but as a young man needing a job and wanting a college education, I remained silent and tolerated the gross unfairness. However, after obtaining a Law Enforcement Technology degree, completing the police academy, and starting a police career, I began to question the unfairness of department policies and the limited opportunities for African Americans and women within the Cincinnati Police Department for moving up the ranks. Unable to get a satisfactory response, I organized an internal movement that eventually led to two federal consent decrees that revolutionized policing in the City of Cincinnati. One, agreed to in 1981, focused on hiring practices, promotions, and job assignments of police officers, specialists, and sergeants. Another in 1987 focused on promotions of lieutenants and above. Both decrees are still binding today. I never saw myself as a leader then, but it was truly gratifying to know I was taking on an unfair power structure and forcing change for the betterment of all. In reflecting back over my life, there are numerous incidents where I displayed characteristics of a servant leader but was unaware at the time. A career in law enforcement is waiting for you with a Bachelor of Science in Criminal Justice Management. A degree in leadership is waiting with a major in Organizational Leadership and a doctoral major in Ethical & Creative Leadership. Start today. Click below.